Our team is paid a salary and bonus based on Customer Experience and Sales Volume…Not on the price of the car! 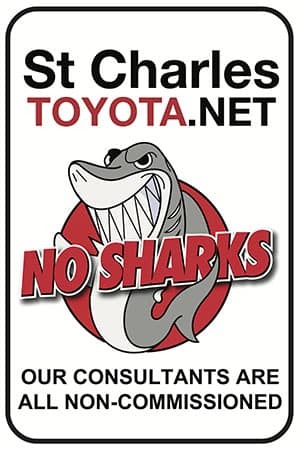 St. Charles Toyota is the only Non-Commissioned Toyota Dealer in the area! Come experience the St. Charles Toyota Difference today! You have the control to shop discounts on every new car without the pressure of a pushy salesman or the inconvenience of submitting requests on multiple cars. Just One Simple Price that is Always Below the Market. We shop the other dealers and price below them. 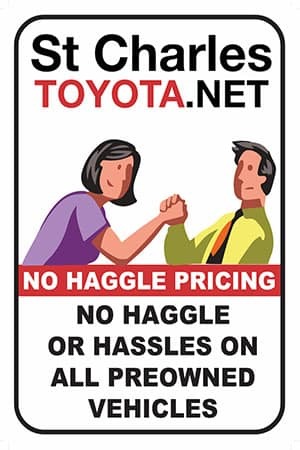 No Haggle, No hassles…Ever! 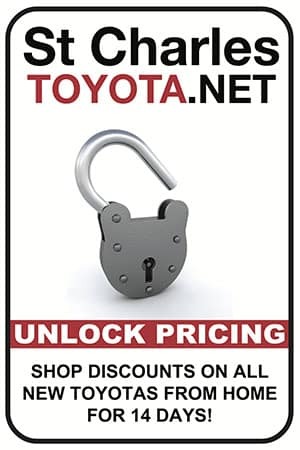 Experience The St. Charles Toyota Difference!